The BCE Typhoon 6ft folding air hockey table features vertical rolling folding leg system and 220/240V mains powered fan motor. It has a quality, sturdy construction and built in transport wheels. It also looks great with a black finish and art graphics printed on the white playing surface. 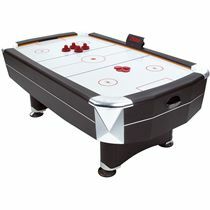 The table is supplied with two pucks and two pushers. 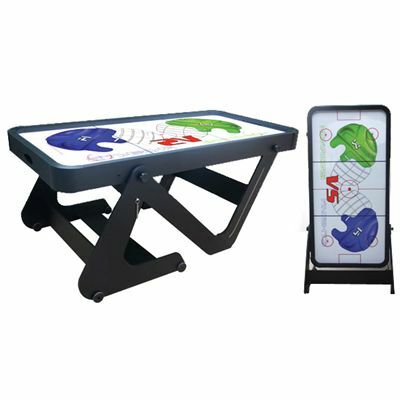 for submitting product review about BCE Typhoon 6ft Folding Air Hockey Table.